Many of the dads were car enthusiasts and former sports car racers who were already familiar with the track and had planned to bring their kids there to learn to drive since the day they were born. “I’ve been planning for her to do this since she was very young,” remarked Wayne Burstein. “It is all about taking care of your kids,” he continued. Of course, the racer dads figured they could teach their kids how to control the car themselves, but like Burstein, they recognized that kids listen to others better than to their parents in such situations. “This is about learning the muscle memory you can’t get in driver’s ed,” he said. How many drivers on the road today have received training and practice in having a car slide on a wet road so they can learn how to recover control in a safe environment? Or how to survive one of the most deadly forms of crashes: the off-road overcorrection? That’s when a car drops the right-side wheels off the edge of the road and the driver panics and yanks the car to the left, causing it to shoot across the road into oncoming traffic. The teens at the BSR Accident Avoidance class practiced how to react safety in this situation, so if it occurs on the road they’ll be ready. The trick? Do nothing. Ease off the gas, hold the steering steady, ensure that the car is under control and then gradually drive back onto the road. It's as simple as that. 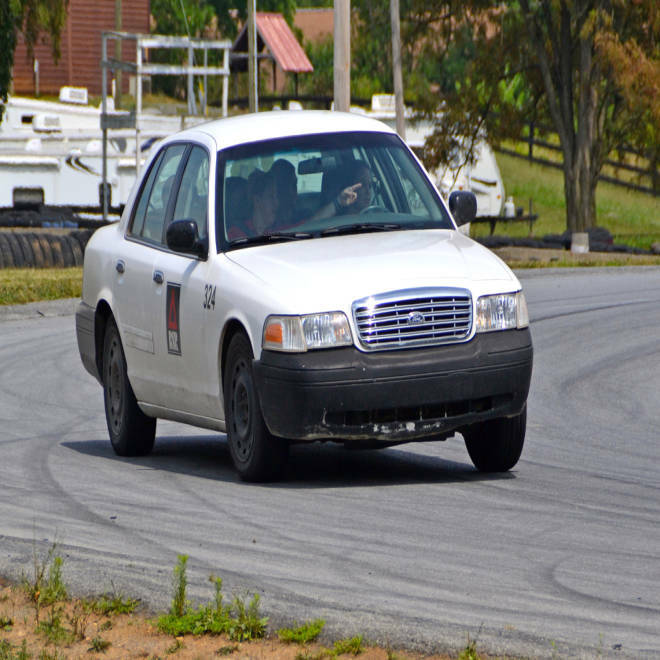 Critics of teen driver training complain that it will only encourage them to take more risks, but it is hard to see what risks “do nothing” off-road recovery training could pose. Then there is the fearsome “backing up using the mirrors” test. Of course, the young drivers also have to back up looking over their shoulders, but the BSR instructors made the kids practice backing up using only mirrors for those occasions when they can’t see out the back for one reason or another. The orange cones fared poorly in this test, but it gave the kids good practice and reinforced the necessity for them to keep improving so they can park without crunching their parents’ car. My own daughter found that her instructor’s constant reminder to keep her “eyes up,” looking ahead for trouble and ways out of it, was the best lesson she took from the school. This fact reinforces the need to have people other than parents provide instruction to teens, because her mother and I had frequently pointed out her habitual failure to look far enough ahead to anticipate events. Naturally, hearing essentially the same thing from someone else is all it took for the message to sink in, which made it worth attending the class just for that. Kids may resist the idea of extra school, but parents will rest easier after seeing their kids’ polishing their coping skills at a class like the BSR Accident Avoidance school.